BOSTON — Studio Allston, now open, is a 117-room hotel that embodies a spirit of adventure and creativity, and promises to deliver a hotel experience unlike any other in Boston. What makes Studio Allston different is a thematic reliance on art in the lobby, in the bar, in meeting rooms, suites, and in every one of the guest rooms. Most of the displays are works created by local artists and will be refreshed regularly in a first-floor gallery. 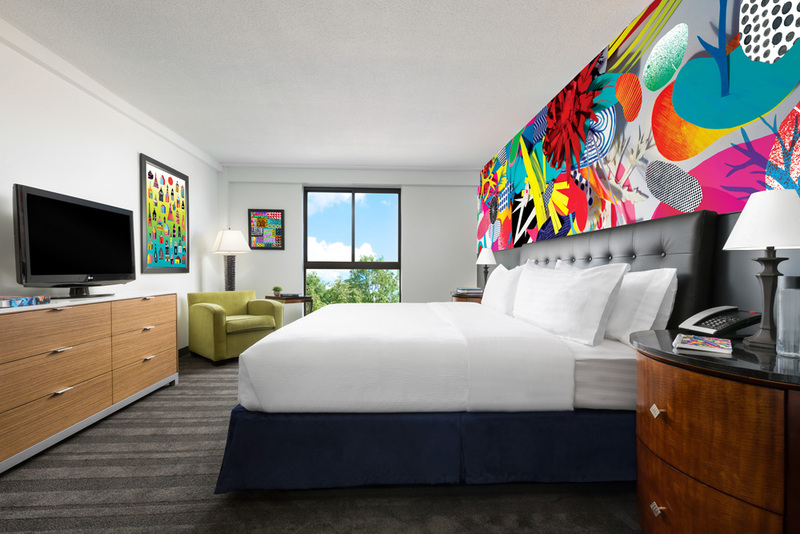 Twelve contemporary artists were selected to create murals in each guest room. Wallpaper in standard guest rooms features individual designs and five of the Hotel’s ten guest suites were designed as unique, immersive works of art. The first impression visitors encounter in the lobby is a dramatic composition by an internationally acclaimed artist that commands attention. Unlike other hotels that refer to themselves as “art hotels,” Studio Allston is different. Artists have played a key role throughout the design process of the Hotel with the objective of ensuring that the art doesn’t simply hang on the wall—the art becomes the walls. 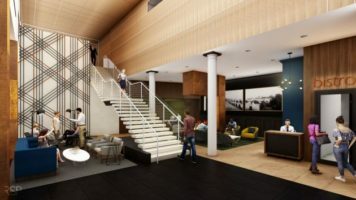 The Davis Companies, joined with Spot On Ventures, led by hotelier and businessman Robin Brown, and Highgate, an industry leading manager of hospitality assets, reimagined the1960’s vintage building located at 1234 Soldiers Field Road with insight and vision. Drawing on their combined experience in management, design, and real estate development, this partnership moved forward with a concept for a hotel and restaurant that would be an inspirational hospitality experience. The design of Studio Allston is complemented by its setting on the banks of the Charles River in this Allston neighborhood. The location owes its name to 19th century poet and painter, Washington Allston, one of America’s early pioneers of the Romantic movement of landscape painting. Robin Brown, speaking from experience, notes that everyone who comes to Boston from somewhere else falls in love with the city. The Studio Allston was Art Directed by Isenberg Projects, a creative advisory firm based in Boston, MA. Actively engaged in Boston’s creative economy, Isenberg Projects develops opportunities to bring artists and designers out of the gallery and into the public realm. Building restoration and interior design was led by the nationally recognized and award-winning architecture firm, Dyer Brown. The development team behind Studio Allston is expected to announce a food and beverage partner in the coming weeks. Prior to the opening of its lobby restaurant this summer, Studio Allston offers complimentary continental breakfast options in the lobby. 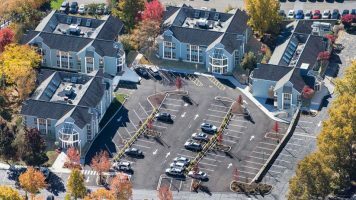 The hotel is managed by Highgate, a premier real estate investment and hospitality management company whose growing portfolio includes more than 100 properties in gateway cities worldwide.